All rehearsals take place directly after school. Most actors will rehearse 2-3 times a week (beginning with Monday, Tuesday, and Thursday rehearsal days) until approximately 3 weeks prior to the shows at which time there may be as many as 5 rehearsals per week. The first rehearsal is on Monday, Feb 25th. We expect 100% attendance at all rehearsals. We recognize this is not always possible and will accept 3 excused absences. We will not accept any unexcused absences. We will keep track of all absences. A student's role may be re-cast if he or she has excessive absences. Parent's will be required to include a complete list of rehearsal conflicts on the student's audition form. Please note, we will not rehearse during any scheduled school breaks. Also spring sports don't combine very well with our rehearsal schedule since that is our busiest time in preparation for the show. Finally, attendance is mandatory for the tech weeks which are the two weeks leading up to the production. Our crew will join the cast at our first rehearsal on Monday Feb. 25th directly after school. After our first rehearsal, the members of our crew may not meet again until approximately 5 or 6 weeks before the production. The schedule will vary and depend upon the availability of our parent committee leaders. Crew may meet after school or on the weekend. Attendance during tech week (which is the week leading up to the production) is mandatory for crew. Students interested in joining the crew must pay a production fee (see Audition/Registration Info) and turn in their Student Information Form into the main office or in the choir room on the day of auditions. 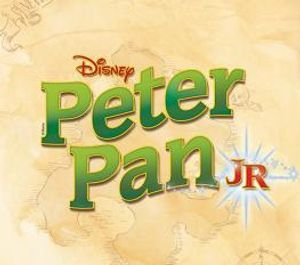 We have set up a text “remind” for the Peter Pan Jr. musical in order for you to receive important updates right on your phone. This will allow you to get communication updates related to the musical. Please see the instructions below on how to join! Please send an email to [email protected] with any questions related to the musical. Thank you!